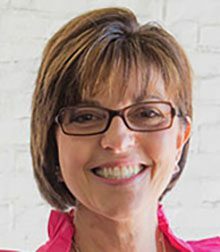 Why does my school need IMC Accreditation? IMC accreditation is specifically designed for Montessori schools. IMC works with other accrediting bodies to facilitate joint accreditation. IMC accreditation is user-friendly & affordably priced. IMC offers an unparalleled level of support to our schools and will help you every step along the way. IMC accreditation is designed for schools worldwide. For more information on pricing and process please contact Lorna. which will allow for any Montessori schools in the state of Maryland, that receive IMC accreditation, to be recognized by the state as an accredited school. We are prepared to do the same for any other states that may require the documentation so that the IMC?s accreditation can be recognized within that particular state. 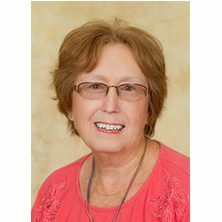 If this is a requirement of your state we ask members to provide the IMC Membership Director, Margot Garfield-Anderson, with the correct contact information for the required documentation to be provided. We will be glad to share our new suite of documents once we’ve completed our updates from our trustees? pilot schools and we expect to have these available by the November conference. We are also looking for any qualified educators who might be interested in serving on accreditation teams; we will be doing validator training at the upcoming conference. We hope this news encourages you to encourage your school community to go through the accreditation process. More and more Montessori schools are being asked whether they are accredited, and the beauty of the IMC?s new accreditation format is that it is user-friendly, easily understood and affordable to the school. It also allows for diversity amongst schools, while concentrating on the central issue of what one should expect to find in a responsible school that wishes to represent itself as being a Montessori program of integrity. The new and streamlined IMC school accreditation program is now ready for all IMC member schools.If your school is interested in reviewing the entire program and steps in the process, please contact Lorna McGrath. Within the IMC members’ area of our website, members will have access to a full suite of documents and resources, as well as the application form to apply for candidacy for IMC school accreditation. Members will also find a guide on how to write a self study, and a library of sample forms, policies, and documents that may be useful in the self-study process. Only current members have access to this area of the site. The program was specifically designed to be used with AdvancEd’s new accreditation program and should facilitate the process for schools wishing to seek dual accreditation. There are five broad standards, which follow. In their self-study, schools describe how they meet each standard and the evidence that supports their self-evaluation. The school has a well developed vision and purpose, and the integrity of Montessori philosophy and curriculum is maintained through alignment to this purpose. The vision and purpose of the school has been developed through a collaborative effort that includes input from the school community and is communicated to all stakeholders. The school is led and supported by governance and leadership/school administration that is committed to ensuring student learning and school effectiveness through the implementation of Montessori philosophy and methodology. The School provides an educational program that is effective and consistent with the characteristics of authentic Montessori practice at each age level offered. The School provides appropriate resources to ensure effective implementation of its vision and purpose, consistent with the characteristics of authentic Montessori philosophy and methodology. The school engages stakeholders in a systematic process to evaluate student learning and school effectiveness contributing to a 3-5 year Strategic Plan. IMC School Accreditation offers a user-friendly program of school assessment and accreditation for the American and international Montessori school community. The program enables Montessori schools of widely varying sizes and ages to evaluate program quality, instructional effectiveness, operational and financial health, facilities and site utilization, and future growth potential. The primary purpose of the International Montessori Council School Accreditation program is to inform Montessori school administrators and trustees of best practices of the most respected and successful Montessori schools. Schools that fully-implement the principles of Montessori best practice tend to be particularly effective in their work with children and worthy of public trust and confidence. IMC accreditation places particular emphasis on the administration of key aspects of school operation, particularly those related to the quality and integrity of the school?s educational program and the health and safety of students and staff. The standards establish guidelines for policies, procedures and practices. The school is responsible for implementing those policies in a manner consistent with IMC standards on an ongoing basis. A second purpose of the International Montessori Council School Accreditation Program is to provide the public with information that can assist them in the selection of schools that meet recognized standards of excellence in Montessori educational practice. 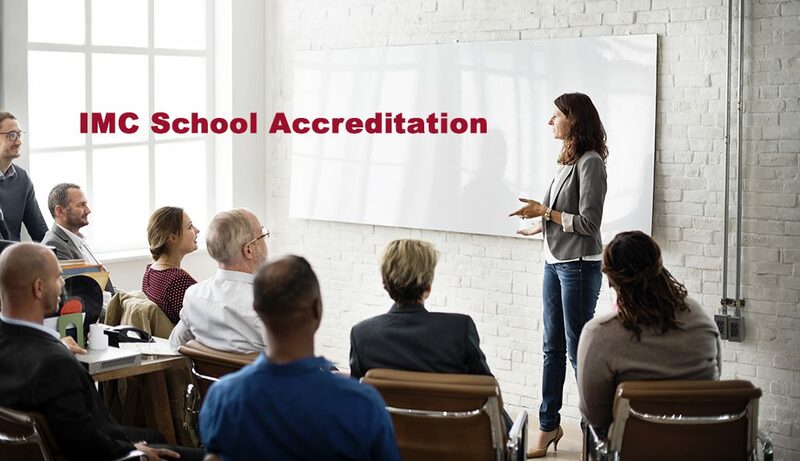 Accreditation does, however, indicate to the public that a school has voluntarily invited its programs, facilities, policies and procedures to be compared with the standards of Best Practice established by leaders in the international Montessori school accreditation community. At least once every ten years, an outside team of Montessori school professionals trained in the International Montessori Council School Accreditation Program visits the school to verify compliance with the standards. The International Montessori Council School Accreditation Program allows for diversity among Montessori programs, while speaking to the central issue of what one should expect to find in a responsible school that wishes to represent itself as being a Montessori program. The school clearly defines its institutional identity, Montessori principles, enduring values and beliefs, and educational outcomes. The School initiates a Self-Study, in which the school documents how it meets the basic characteristics and principles of Best Practice found in all excellent Montessori schools. This phase follows an easily understood, objective self-study approach. Each standard is carefully laid out with examples and suggested resources. In most cases, schools will have access to sample policies, handbooks, and other resources on an accompanying series of CD-ROMS that can be adapted for individual schools. After the self-study is completed, the School develops a written strategic plan, in which the school prepares an ongoing plan for continuing to move the entire school (educational program, faculty, administration, facilities, membership and enrollment, marketing and public relations, fund raising and capital resource development, governance, finances) closer to its ideal as set forth in its vision and blueprint. Once the Self-Study has been submitted and reviewed, an On-Site Visit is scheduled with the School and conducted by a team of IMC-trained visitors who will spend from two or three days on campus observing the school in operation and validating the information provided in the self-study report. This visit takes place when the school is in full operation during the regular academic year. This process is repeated every ten years. The International Montessori Council School Accreditation Commission reviews the Onsite Visiting Team?s Report and Recommendations and makes the formal decision about accreditation, sometimes with recommendations or provisional requirements. Any IMC school member in good standing that has been in operation for at least three years may begin the accreditation process. New schools may want to use the School Accreditation Standards are a planning tool during their first years of operation, there by essentially completing most, if not all of the self study process in advance. Once they have completed their third year of operation, they can apply and finish up any remaining steps in the self study document. $5/US per enrolled student (Minimum $150/US, maximum $500/US, for each site) Cost of Preparing the Self-Study: Generally prepared by volunteers, with some level of secretarial support from the school office. The Self-Study will normally fill a large three-ring binder. The school will need to prepare several copies (or digital certified PDF documents) and send them to the IMC School Accreditation Commission offices. On-Site Visits normally run from two to three days and an On-Site Visiting team will normally be made up of at least two team members. More visitors, and/or a longer on-site visit, will be needed depending on the size of the school facilities, the number of classrooms, and the age ranges of the programs offered. Each classroom will need to be observed for at least a full morning or afternoon by a Montessori educator qualified to evaluate programs at that age level. On-Site Visitors are volunteers and are not paid a daily honorarium. Schools cover the cost of their travel from their homes to and from the School, along with all costs of lodging and meals during their stay. The cost will vary depending on the number of visitors, the cost of their travel to and from the school, and the cost of food and lodging. $200/US per site, in addition to the school’s annual IMC dues. Accredited schools must maintain their membership in the International Montessori Council. Upon successful completion of the process, member schools receive a certificate of their accredited status from the International Montessori Council and may begin to display the IMC Accredited School logo in their brochures, advertisements, and other publications.